State Rep. Jason Nelson, R-Oklahoma City, today issued the following statement regarding the U.S. Supreme Court decision upholding the Patient Protection and Affordable Care Act. Nelson last year served as a member of the Joint Task Force to Study the Federal Health Care Law. “I want Oklahoma to stand strong in its continuing fight against the implementation of this destructive Federal law at every turn and I will do everything I can to assist in the effort. “Chief Justice John Marshall’s 1819 axiom, ‘The power to tax is the power to destroy,’ came to mind as I heard the news of the U.S. Supreme Court decision today upholding Obamacare on the basis that it is a tax. Clearly that power has been trained on individual and religious liberty by President Obama and Democrat Leaders in Congress. “Oklahomans have voiced their opposition to the federal health care bill from the very beginning, having approved a constitutional amendment to block the implementation of this bill in our state. We believe that, rather than Big Government bureaucracy and one-size-fits-all solutions, the free-market principles of choice and competition are the best tools at our disposal to increase access to health care and reduce costs. “I’m extremely disappointed and frustrated by the Supreme Court’s decision to uphold the federal health care law. President Obama’s health care policies will limit patients’ health care choices, reduce the quality of health care in the United States, and will cost the state of Oklahoma more than a half billion dollars in the process. "It was over two years ago that Nancy Pelosi said, 'We have to pass the bill so you can find out what is in it.' Well, Americans did find out what was in it and they've been against this massive government-growing, budget-busting, hyper-partisan bill ever since," said OKGOP Chairman Matt Pinnell. "The Supreme Court has provided us one more strong argument for why Governor Romney must defeat Barack Obama this November. Governor Romney has been crystal clear: he will repeal and replace Obamacare," concluded Pinnell. ANCHORAGE – Oklahoma Attorney General Scott Pruitt was elected chairman of the Midwestern Region of the National Association of Attorneys General (NAAG) by his colleagues during the association’s meeting this week in Anchorage, Alaska. He also will serve on the NAAG Executive Committee. 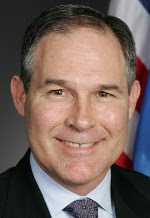 Pruitt will work with other AGs through bipartisan efforts to confront serious issues facing the nation as well as continue multiple initiatives for the Midwestern Region. The region consists of 11 states, including Oklahoma, Illinois, Indiana, Missouri, Kansas, Michigan and Nebraska. Among the initiatives is a plan to enhance an attorneys general law training program with Northwestern University Law School, which will serve as a model for training programs that eventually will link to Oklahoma law schools. Attorneys general and key staff members met this week during NAAG’s summer meeting to discuss state legal issues. During the meeting, association members elected officers, who will serve as the association’s executive committee. The executive committee is charged with the management of association operations and yearly approval of a program plan of goals, objectives and activities to guide its work. The executive committee comprises the four NAAG officers, four regional delegates and three presidential appointees and the chair of the NAAG Mission Foundation, which supports the work of the association. OKLAHOMA CITY (June 22, 2012) – A ceremonial signing held today recognizes the passage of an important new law that will allow Oklahomans to obtain lifetime victim protective orders, according to the bill’s author, state Rep. Wade Rousselot (D-Okay). House Bill 2396, authored by Rousselot, extends the time in which a victim protective order remains in effect from three to five years and allows for a continuous victim protective order under certain conditions. Rousselot said in order to renew a protective order, a victim has to face their tormentor in court. Extending the length of time in which the order remains in effect and allowing for a continuous protective order in certain cases, places less of a burden on the victim, he said. “The continuous protective order ensures the victims who have the most egregious tormentors do not have to face them every five years in court in order to renew the order,” said Rousselot. In the midst of a tumultuous week for governance at the Oklahoma Department of Human Services, a revised version of the transformational “Pinnacle Plan” has been released. Circulation of the new draft (dated June 1) came just 48 hours after Human Services Commission Chairman Brad Yarborough – facing a no-confidence vote pressed by at least three of the commission members – resigned from the top job, while agreeing to stay on the panel. 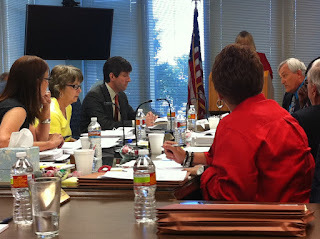 Peter J. Rudy of Oklahoma Watchdog.org covered Tuesday’s “contentious meeting” and has the details here. The revised Pinnacle Plan has been sent to the three “co-Neutrals,” out-of-state analysts and decision-makers empowered by litigation settled earlier this year. The work of the co-Neutrals, as result of litigation administered by the federal courts, is not subject to Oklahoma’s open meeting and open record provisions. The new rendition of the state’s comprehensive reform plan for DHS is the result of several revisions crafted since March 30. The new version is characterized in a release from DHS as “an outline of improvements the [state] DHS will make in targeted areas of the state’s Child Welfare System. It will serve as a guideline for the agency to follow as it works to improve the care of Oklahoma’s foster children. “The plan was revised after feedback from the plaintiffs, co-neutrals, legislators, Governor’s staff, OKDHS Commission members, and OKDHS staff. The plan contains minor revisions that ensure clarity of the goals and initiatives. Some changes were made to move initiatives forward in Years One and Two, such as ensuring children under two are not placed in shelters and the supervisor training/mentoring program is developed earlier. Chairman Yarborough disclosed his resignation from the top job on Tuesday (June 12). He had sought to continue drawing on the expertise of two former commissioners (Steven Dow and Anne Roberts) for working panels, but that idea now appears inoperative. Yarborough said he had to stop being chairman because “an excessive investment of time. It has been a privilege to serve as Chairman these past eight months. I accepted at a time when the DHS faced many significant challenges. The role has been difficult and demanding. I’m pleased that, with the help of other Commissioners, agency staff, the [attorney general], Legislature and Governor, the DHS has turned a critical corner. Recent achievements have, by most accounts, been historic. Serving as the Chair has been satisfying and I hope that it has benefitted our state. “The duties as Chairman have required an excessive investment of time. But, because of the critical and worthy nature of the assignment, the sacrifice was merited. However, this level of involvement is unsustainable. Business opportunities and personal priorities now require more attention. To adequately accommodate, it’s necessary to resign as Chairman,” he said. Governor Mary Fallin first appointed Yarbrough on Sept. 8, 2011. 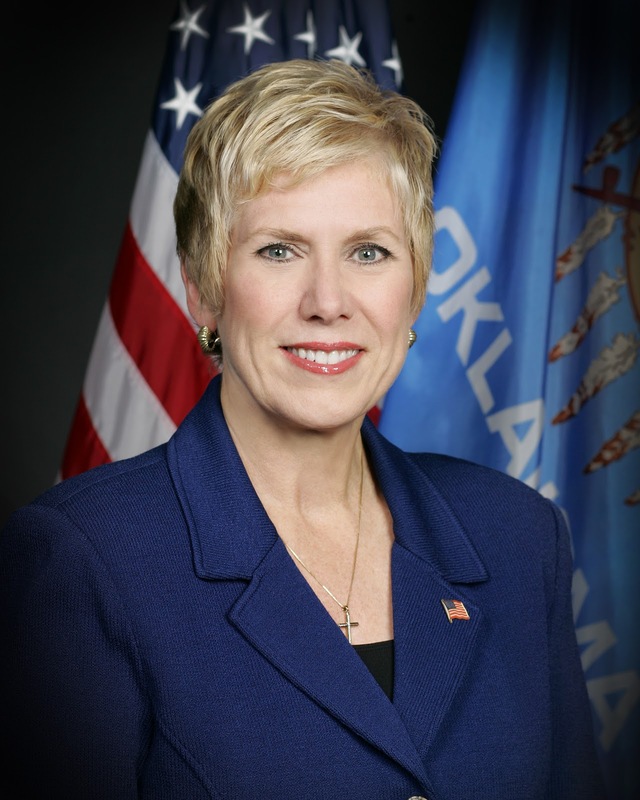 On the same date, she appointed former Oklahoma County District Attorney Wes Lane, who is now reportedly under consideration for the chairmanship. Lane and Yarborough, conservative Republicans, had worked closely with Dow and Roberts, liberal Democrats and appointees of former Governor Brad Henry. Several of the board majority’s steps toward accountability and better performance have been opposed by other Henry-era commissioners. Dow and others have said the commission structure is outdated and not adaptive to contemporary needs of DHS. As a result of many factors – legislative enactment, judicial scrutiny, litigation, and new legislation, the governance structure for the agency is on the verge of comprehensive transformation, including the role of the governing commission. The Legislature boosted DHS funding by $50 million this spring; half of that increase is to finance early stages of the Pinnacle Plan. It is quite conceivable that whomever is named to succeed Yarborough will be the last Human Services Commission Chairman. Meanwhile, commissioners (and the governor) were unsatisfied after a first round look at potential candidates to replace DHS Director Howard Hendrick, and beginning a broader national search for additional candidates. The Oklahoma Ethics Commission has called a Special Meeting tomorrow, Friday, June 15, to discuss a request by Steven Dow to rescind or expunge from the record his public reprimand. The meeting will be held at 10:15 a.m., at the State Capitol in Room 432A. The agenda indicates former DHS Commissioner Steven Dow has submitted "written evidentiary materials in support of his request to rescind, set aside or expunge from the record his public reprimand." Last month Commissioners Steven Dow and Anne Roberts of the Oklahoma Commission for Human Services resigned from the Commission after a letter by the Oklahoma Ethics Commission identified a conflict of interest concerning Dow’s simultaneous service as both a DHS commissioner and chief executive officer of the Community Action Project, a charitable corporation which operates daycare and child education facilities. Roberts, although not named in the Ethics Commission letter, resigned to address a potential conflict between her service as a commissioner and her employment with Integris Heath. This video shows highlights of the 2012 Children's Behavioral Health Day at the Oklahoma State Capitol. Governor Mary Fallin and Commissioner Terri White are featured. I'm honored to have have been included. Mental health and substance abuse services are pro-family. Please share this video about the Lindsey Nicole Henry Scholarships for Students with Disabilities Program Act. This simple program is changing the lives of many children in Oklahoma for the better. A district judge ruled earlier this year that the 2010 law is unconstitutional. The Oklahoma Supreme Court agreed earlier this week to hear an appeal by parents who are being sued by two school districts for using the program to help their children. I hope you will support this program and let others know you think it is important that it be protected for the sake of special-needs children now and in the future. When students at the University of Oklahoma begin fall classes this year, the institution will continue to build on its reputation as the home of the highest number of National Merit Scholars at any publicly-funded American institution of Higher Education. What is not as widely known is that among the 700 or so NMS students, a few dozen will be from home-schooled backgrounds. This fall, at least eight, and perhaps 10, of the entering NMS at OU will be home-schoolers. Over recent years, a steady stream of entering National Merit Scholar freshmen at OU have come from home school preparations. For this coming year, the eight to 10 new students will be the highest number of National Merit students from home-schooled backgrounds in OU history. Of course, National Merit Scholars comprise only a portion of the home-schooled students seeking college degrees at OU. All told, at least 155 undergraduate students now at OU come from home school backgrounds, university officials told CapitolBeatOK this week. CapitolBeatOK has learned the group’s GPA is a remarkable 3.43 on a four-point scale. Hamilton stressed his sense that the total of 155 students is likely an undercount. He is working with other university officials to improve the accounting for home school-originated undergraduate students. While a comprehensive study would be needed to reach broad conclusions, the data for OU, and Hamilton’s discussion with CapitolBeatOK about home-schoolers at OU, appear to ratify academic and investigative analyses of recent years which indicate students from home-schooled backgrounds are both well-prepared and socially adept upon entering college. Hamilton, the OU vice president, observed “there is a whole culture out there” based around home-schooling. Hamilton and his wife home school their three children of K-12 age for personal reasons. He notes class sizes in public schools were a concern, as well as the lack of a gifted-and-talented program they could access. He recounted several stories about home school students he knows personally, including three students from one Texas family who made the Norman campus their college destination. The Oklahoma Supreme Court recently announced that it will hear the appeal by parents of disabled children of the decision by a state district court judge that the state’s Lindsey Nicole Henry Scholarship for Students with Disabilities is unconstitutional because it violates our state constitution’s provision governing the proper relationship between religion and the state. There is, however, another vital constitutional principle at stake in this case. Some consider this other principle to be a legal technicality, a senseless barrier preventing the courts from settling our political controversies. But adhering to this principle is indispensable to the maintenance of the rule of law, and bending or even ignoring it, as the school districts in this case have asked the courts to do, threatens the legitimacy of judicial authority. When is there a real case and controversy? The principle is easy to state, but hard to faithfully follow. Judges should only exercise their authority when the person or entity seeking relief has been injured by the defendant and the court, by issuing an order to the defendant, can remedy the harm. In this case, the families who decided that the public schools failed to meet the needs of their children removed them from the public schools and asked the state Department of Education for a scholarship to attend a private school. The schools argue that they are hurt by the law because the law establishing the scholarship instructs the department to deduct the total amount of scholarship money from the general school aid budget. The schools, therefore, allege that, eventually, they will receive less money because of the scholarship program. But that’s not true at all. The schools aren’t getting less money because of the scholarship program – no one is taking money from their account and giving it to the private schools. Remember that school aid is calculated per enrolled student. The schools are getting less aid because they have fewer students. It doesn’t matter why these parents left the school. No matter what, the result would be the same. The schools, in essence, are suing the parents for doing what they had every right to do – leave the public schools. Nothing the parents have done, no more than when parents decide to leave the state for better economic opportunities, constitutes a legal injury to the schools. Furthermore, even if the court invalidates the scholarship, it is unlikely that parents will send their children back to the place where they, at best, were neglected, and, at worst, bullied and abused. Even if the state is no longer allowed to help these parents, the court has no power to remedy the schools’ alleged harm. 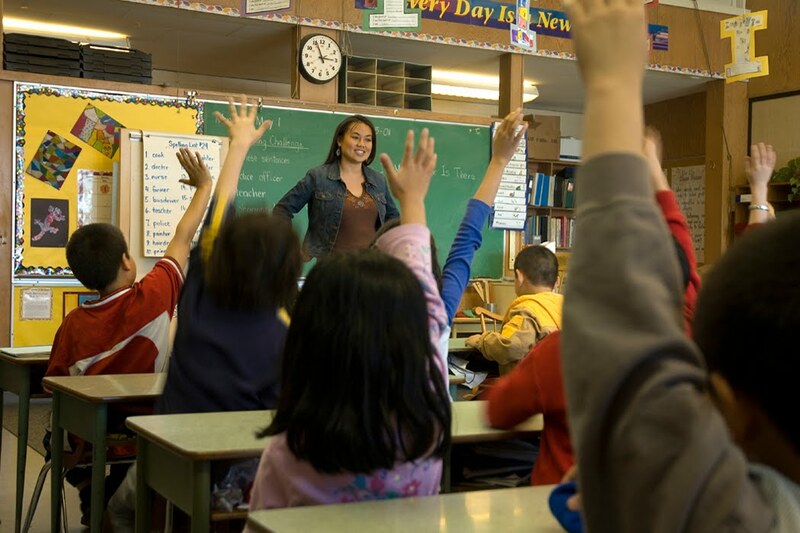 The public schools will still have fewer students and proportionately lower funding. There is no need for the courts to involve themselves in this bitter political dispute. These school districts haven’t suffered any legal injury; they just don’t like the public policy embodied in the program and want the courts to use their power, legitimately or not, to impose their view on the majority. Andrew C. Spiropoulos is a professor of law at the Oklahoma City University School of Law and the Milton Friedman Distinguished Fellow at the Oklahoma Council of Public Affairs. Please share this 60 second video about the Lindsey Nicole Henry Scholarships for Students with Disabilities Program Act. The Thunder basketball team has a big impact on the state of Oklahoma. Not just because we are excelling in the NBA playoffs. But also because it helps to point the nation – and the world - back to us. The Thunder is an example of what a true team looks like, providing role models for our youth to follow. The Thunder also helps to unify us as a state, constantly reminding us that Oklahoma is strong and has a bright future ahead. The Thunder’s outreach is phenomenal. With more than one million fans and followers strong worldwide on Facebook and Twitter, the Thunder has become a household name. Thunder season ticket members reside in 51 Oklahoma counties and 26 states. And the Thunder has been on national television countless times this season. In Oklahoma City alone, television ratings have doubled over last season. The NBA All-Star game was seen in 200 countries in 40 languages. Kevin Durant (All-Star MVP), Russell Westbrook and Western All-Star Coach Scott Brooks and his staff brought international exposure to Oklahoma. All who watch are reminded that the Thunder is Oklahoma’s team. This drives recognition to our state and all the great things that are taking place here despite the difficult economic climate in our nation. Oklahoma has become a beacon of light in these challenging times and the Thunder is part of that equation. A great big thank you to the Thunder for everything they do as a team for our great state. Thunder up, Oklahoma! 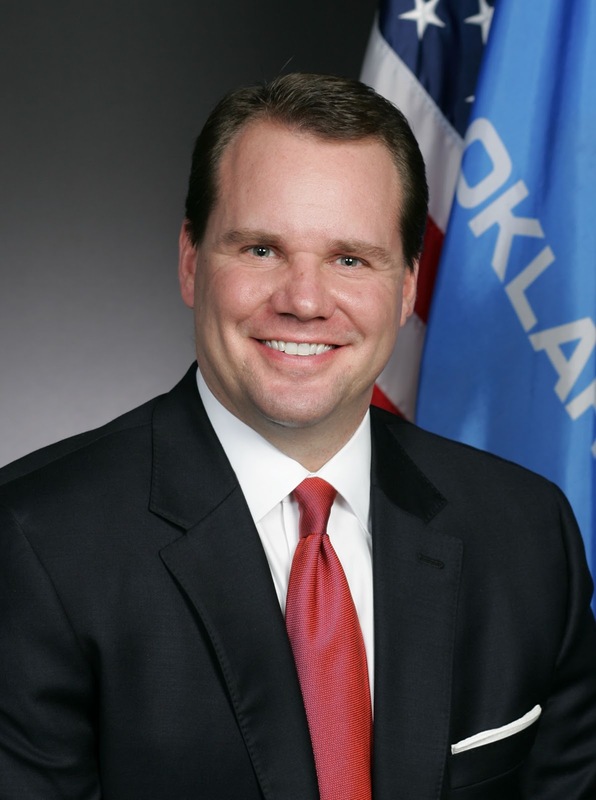 OKLAHOMA CITY – Even though natural gas and crude oil prices are lower than expected, Oklahoma’s total revenue collections continue to rise, driven primarily by income and sales, State Treasurer Ken Miller said today as he released the monthly gross receipts report for May. “With incomes climbing and sales tax collections on the rise, Oklahomans continue to show confidence in the economy in spite of renewed global uncertainty and a pullback in U.S. job growth,” Miller said. May collections are up by 5.8 percent from May of last year, Miller said. That compares to average growth over the past 12 months of 9.2 percent. Oklahoma City - The Board received recommendations on 26 appeals for waivers from Achieving Classroom Excellence graduation requirements. Of those, a committee appointed by the State Board recommended that approval be granted to two students, one based on verified evidence meeting the criteria for granting an exception to ACE graduation requirements, the other based upon evidence of the student being accepted into a selective university. The committee recommended that seven appeals be denied and that 16 appeals be dismissed based upon evidence that the students had either already met ACE requirements or had withdrawn their appeal because they had either not met graduation requirements apart from ACE or they have not yet been denied a diploma. OKLAHOMA CITY (June 5, 2012) – Faced with standstill funding levels appropriated by the Oklahoma Legislature last month that directed more than $445 million to be spent on line items such as flexible benefits allowances for teachers and school support personnel, early childhood education, alternative education and bonuses for board-certified teachers, the Oklahoma State Board of Education in a special meeting on Tuesday afternoon approved an almost $457 million Activities Fund Budget for public schools. The approved budget can be found online here. The Board acted to restore a portion of funding for some items it had been forced to cut during last year's budget shortfall -- such as Great Expectations, funds for the FIRST Robotics competition and A+ Schools. It also protected funding for items such as the Oklahoma Arts Institute and Oklahoma Ag in the Classroom. But with only $10.5 million available to budget for programs that required millions more, the Board had to leave several key priorities without funding -- including dollars for reading sufficiency and adult education. "The Board made the best of a difficult year," said State Supt. Janet Barresi. "We intend to immediately begin working to seek a supplemental appropriation from the Legislature next year to offset some very painful cuts. In particular, we'll be asking for a supplemental appropriation to help with reading sufficiency funds. With very few dollars available, the Board simply couldn't fund those items." The board had made a budget request in December to the Legislature for a $157 million increase. Overall, the Legislature increased the total amount for the activities fund by $3 million. Oklahoma City - The State Board of Education will hold a special meeting tomorrow to hear recommendations from the State Department of Education on students requesting waivers from meeting Achieving Classroom Excellence requirements. ACE sets forth requirements that must be met in order for a student to earn a diploma from an Oklahoma public high school. The 2012 senior class is the first required to meet the new standards. 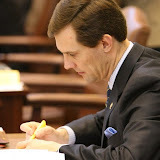 Rep. Jason Nelson, R-Oklahoma City, authored an amendment to House Bill 2970 this past session that requires the State Board of Education to establish an appeals process for students who have been denied a standard diploma for failing to meet the ACE graduation requirements. Governor Mary Fallin signed the measure into law. It went into effect April 18. The State Department of Education has only received a few dozen applications for waivers so far. More are expected over the summer. HB2970 says that a student who has been denied a standard diploma shall have thirty days after denial to file a petition for an appeal to the Board. Nelson said efforts by some in the Legislature to delay or roll back the ACE requirements were not successful but that there was strong bipartisan support for an appeals process requirement. HB2970 also requires the Board to collect data by school site and school district on the number of students petitioning for an appeal and the number of appeals approved by the Board. In 2005, when then Governor Brad Henry signed the ACE standards into law it was predicted that 22% of students would fail to meet the standards. Recent informal estimates indicate that by this past April more than 93% of this year’s senior class had met the standards. Beginning with this year’s senior class, every student shall demonstrate mastery of the state academic content standards in order to graduate from a public high school with a standard diploma. To demonstrate mastery in the subject areas listed below, all students must score Proficient or Advanced on the following End-of-Instruction (EOI) exams: Algebra I and English II; and two of the following five: Algebra II, Biology I, English III, Geometry and United State History. I was the guest on the KFOR political news show "Flashpoint" yesterday. We discussed the Department of Human Services reforms and the Lindsey Nicole Henry Scholarships for Students with Disabilities Program Act. WASHINGTON, D.C.—On June 4, the American Public Human Services Association (APHSA) honored Howard Hendrick, recently retired director of the Oklahoma Department of Human Services (OKDHS), with its 2012 Lifetime Achievement Award for his contributions to the field of human services. 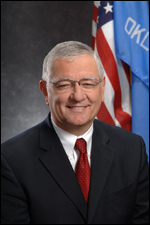 When Hendrick retired in April, ending nearly 14 years at the helm of the OKDHS, his tenure in the same state was longer than any human services director presently serving in that capacity in the country. Hendrick’s accomplishments at OKDHS during his leadership include leading the nation in the number of adoptions of children in state custody per capita, OKDHS being recognized for having the most outstanding Child Support Enforcement program in the country, and the agency achieving the highest ranked child care licensing program for standards and monitoring in the nation. 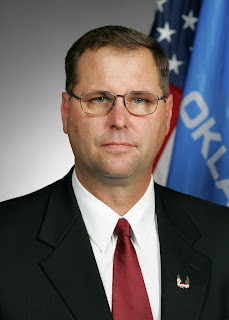 Hendrick became the OKDHS director in 1998. In the ensuing years, he led a staff of nearly 8,000 employees, managed budgets totaling more than $2 billion and administered more than 40 state and federal human service programs throughout Oklahoma’s 77 counties. 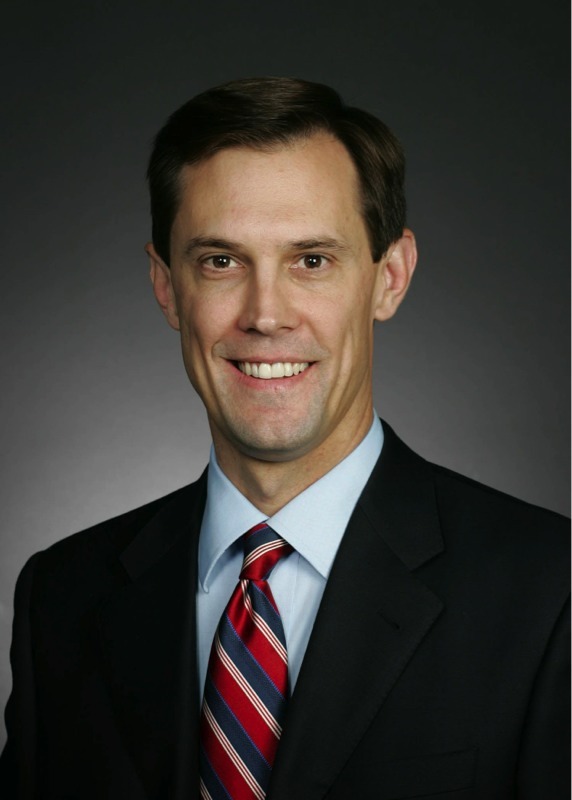 Hendrick also served as Cabinet Secretary for Human Services for former Democratic Governor Brad Henry and served as Cabinet Secretary for Health and Human Services for former Republican Governor Frank Keating. Prior to joining OKDHS, Hendrick served 12 years as a member of the Oklahoma State Senate. For many years, he served as the Senate representative to the Oklahoma State Pension Commission and as the legislative representative to SoonerStart, the Interagency Coordinating Council for Early Childhood Intervention. In 2004, he was selected as one of four Americans to receive the National Public Service Award for leadership in public administration, presented jointly by the National Academy of Public Administration and the American Society for Public Administration. In 2003, the Oklahoma Institute of Child Advocacy named him to the Child Advocates Hall of Fame. In addition to his work in Oklahoma, Hendrick has been involved throughout his career at the national level, serving as APHSA president in 2009 and 2010 and as an APHSA board member from June 2004 until his retirement. He has served on several other national committees for legislative and human service organizations, sharing state-level solutions to the provision of health care and to local poverty. In addition, he served on the boards of the National Children’s Alliance and the Nazarene Theological Seminary and on the Executive Committee for the National Council of State Human Services. 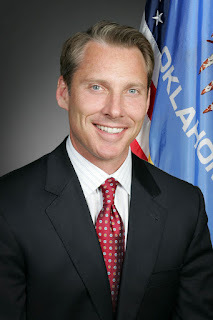 Prior to serving in the Oklahoma Senate, Hendrick practiced business, real estate, and tax law. Hendrick is a Certified Public Accountant and received his Master’s in Business Administration and a Juris Doctorate from the University of Oklahoma. State Superintendent Janet Barresi last week thanked legislative leaders for shepherding approval of additional dollars so that school districts across the state can receive a total of $33 million for instructional and textbook purposes. Senate Bill 1535 passed the House of Representatives last week 88 to 3. The bill appropriates an additional $3 million to Oklahoma’s education budget. The money will help to offset a potential shortfall and will allow $33 million to be disbursed to districts to help them cover costs for a variety of instructional purposes. Traditionally earmarked for textbook expenses, for the past few years local districts have been given flexibility to spend the dollars on other needs. Barresi said that same flexibility for districts would continue and that the full $33 million would be distributed to districts. Lawmakers earlier passed legislation that diverted a portion of the textbooks fund to the general education budget, something Supt. Barresi had not sought. The additional funds approved today ensures those dollars can be used for their original purpose. “While the standstill state budget passed for education will create funding challenges, we will continue to work with lawmakers to seek supplemental appropriations in the upcoming legislative session next year,” Barresi said. State Sen. Clark Jolley (R-Edmond), chair of the Senate Appropriations Committee; State Sen. Jim Halligan (R-Stillwater), chair of the Senate Appropriations Subcommittee on Education; State Rep. Earl Sears (R-Bartlesville), chair of the House Appropriations and Budget Committee; and State Rep. Lee Denney (R-Cushing), chair of the House Appropriations and Budget Education Subcommittee, have pledged to work to restore funding for the state education budget in the next legislative session beginning in February 2013. “I’m grateful to Senator Jolley, Senator Halligan, Representative Sears and Representative Denney for their work on this issue — as well as to Speaker Steele and Senate President Pro Temp Brian Bingman,” Barresi said.